At Les Coudoulets, you will find an ideal place to swim for all the family! 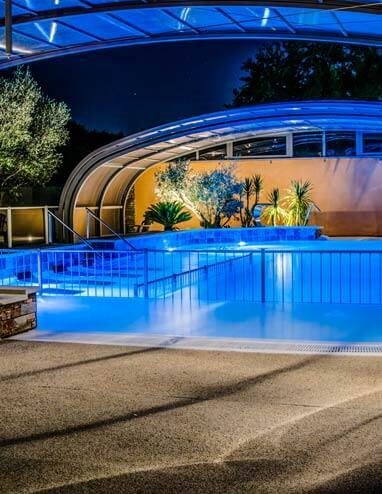 Covered, heated pool (16m x 8m) with water jets, aquabikes and hydromassage seats. 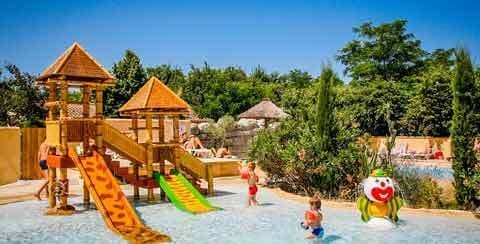 A campsite in southern Ardeche with heated swimming pool, water play area and covered pool, open from April when the campsite opens.